Leonard Nimoy, who died today at age 83, will be fondly remembered for his portrayal of Mr. Spock on the beloved “Star Trek” TV series and movie franchise. 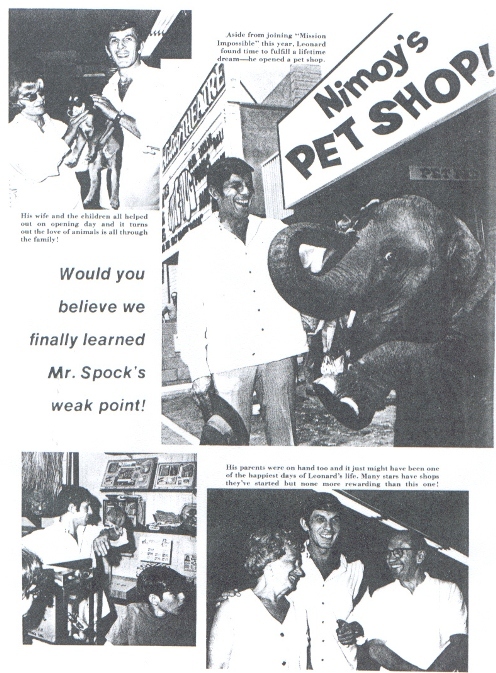 Along with dogs and cats (“not just the ordinary variety we find anywhere — they are all sorts of exotic and rare types”), the store sold monkeys, boa constrictors, chipmunks, South American otters and even crocodiles. Remember, this was 46 years ago, long before most people knew about puppy mills. And apparently before people were aware that having pets like crocodiles was dangerous for both the animal and owner. 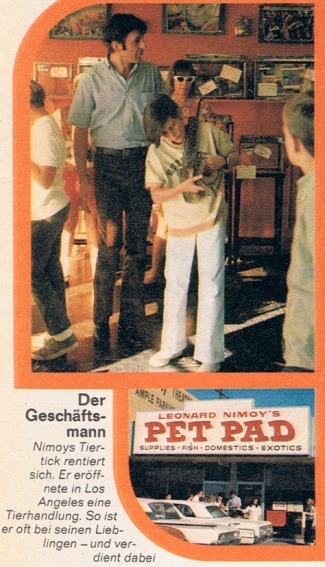 “Nimoy would have liked Mr. Spock to have a cat or dog on board the ‘Enterprise,’” reads the caption for a photo of the store in a German publication. 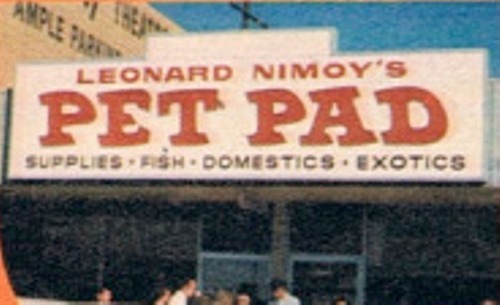 “Well, l’ve aIways had a thing for animals and I once worked in [a pet store] to support myself between roles,” Nimoy told Jacques.